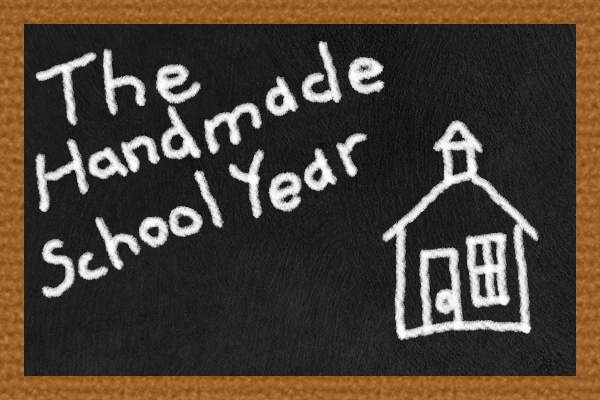 Sewing In BeTween: It's just another manic Monday! To start things off this week, I did a pattern from a blogger/pattern designer that I adore. I fell in love with her patterns from her adult line. 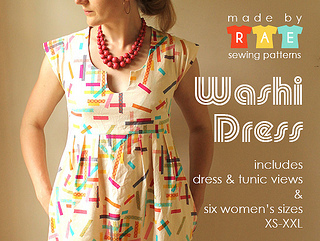 This is the Washi dress from Made by Rae. It is HANDS DOWN one of the more comfortable cute dresses for grown people. You can buy the pattern here http://www.made-by-rae.com/washi/ and let me just say I HIGHLY recommend you do. It is amazing. Ok, back to tween sewing. I heard Rae was going to release a kids version of the Washi and I was all ears. 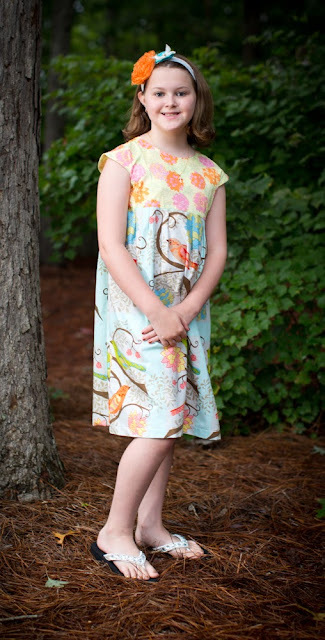 Then, the pattern was released and it was for little girls only (insert sad wah-wah-waaaaaah music). Then, what should I hear? That Rae was expanding the sizing up to a *drum roll* 12!!! Hip Hip Hooray! The adult Washi has either a shirred or elasticized back waist where the kids version, the Geranium, is a button back. It comes with several options for the neckline, gathered or pleated skirt and SUPAH cute inseam pockets (just like on the Mommy dress). You can see the Geranium pattern here http://www.made-by-rae.com/2013/07/geranium-dress-pattern-in-sizes-6-12-is-here/ and while you are over there, check out her blog. She doesn't know me from Adam and I get nothing for pimping her page and patterns, but I have no problem letting people know a good blog when I find one. She is a cool mix of kids and adult sewing and her writing style keeps you interested. 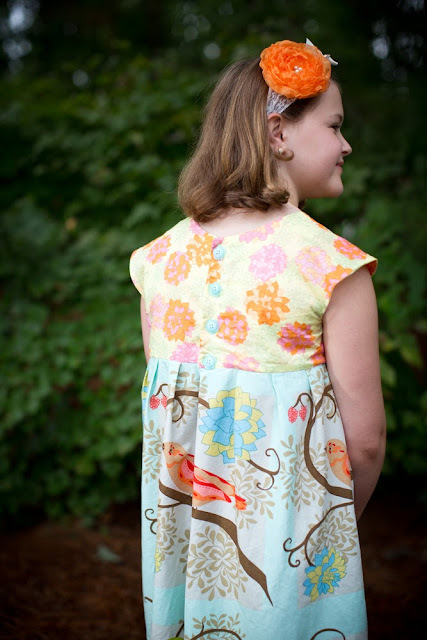 The bodice is a sweet buttery soft voile and the skirt was a printed panel repeat with birdies <3 <3 it. And get the flower buttons in the back, aren't the precious??? Hope your Monday went well. We start normal school stuff this week. Boo Hoo! Tests and book reports - fun days!! Here is something else that might get your week off on a positive note. 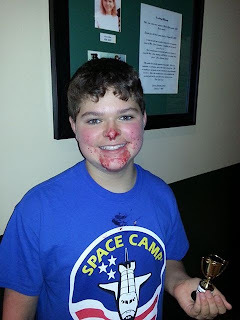 My middle schooler son entered the back to school bash pie eating contest yesterday AND WON!